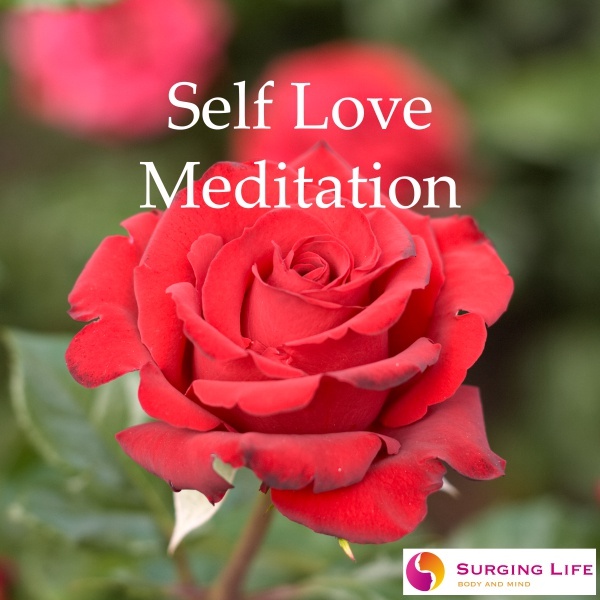 Self love meditation is a good thing for everyone, especially anyone with low self-confidence, low self-esteem or low self-worth. Taking time to meditate, to create inner peace and build up positive feelings about yourself and who you are is incredibly worthwhile. All of us have value in this life, however you think you are at this moment you have greater value than you are likely aware. This world works due to the various people that live within it, when each of us is happy and at ease the world becomes a far more harmonious and joyful place for each of us. So in taking time to meditate and focus on building positive feeling towards yourself, self love, you massively change your experience of life and in doing so you create a far more joyful experience for yourself and for everyone you connect with. A wonderful consequence of this is that people become more positive towards you too, you attract greater positivity and love. So in coming to love yourself you actually bring greater amounts of love from everyone around you too. The reality is, that learning to truly love yourself. Is one of the most important things you can do in your life. The personal growth, and personal development that comes from honoring yourself in this way, leads to incredible breakthroughs in multiple areas of your life. Plus a huge amount of love and happiness. Developing your self in this way is important work and an amazing way to change your life, as such taking care and doing things in the best way to support quality results is worthwhile. By giving yourself the best opportunity you can achieve the best results. So there are a few important things to consider. Firstly do your best to ensure that you will remain completely undisturbed during your meditations. Your ability to keep focused is key here. By holding your focus effectively you will go deeper and thus bring yourself the best change possible for your time and energy. This is much the same for all meditation practice and remaining comfortable and disturbance free are key points here as with the other simple how to meditate tips which when followed will give you solid foundation for your meditative practice. The Solfeggio frequencies have been used for centuries within music and chants by the Gregorian monks for their own development work. They work on an unconscious level and are purported to aid in cleansing and unlocking various attributes within heart and mind, thus leading to a clearer more pure existence, hence their use by the Gregorian monks. They have application for you and self love meditation too. When Solfeggio music is used to accompany your self love meditation practice you have an opportunity for accelerating things and achieving deeper results. Through taking a progressive approach and working up through certain frequencies you can clear away things holding you back and make the change work easier for yourself, like adding a catalyst to the process. It is for this reason that SurgingLife uses these frequencies within guided meditations and musical soundtracks where appropriate to aid you in getting the best results. For this begin in either a comfortable seated or reclined position, ensure that you are warm, comfortable and will remain disturbance free. For each message you receive thank your heart for bringing whatever it was to your attention. Be kind to your heart, let it know that you are sorry and that you will pay better attention to it from this moment onwards. Gratitude and forgiveness are important things through all of this process. This is truly a great meditative practice to get into and build on, meditating in this way on a regular basis i.e. daily or even twice daily can massively change your life. Through adding in the use of essential oils such as helichrysum, sandalwood, frankincense and even lavender you can bring yourself an even deeper experience and thus aid your transition to higher self-esteem, self-confidence and self-worth in an even speedier manner. For those who wish there is also the option for a guided experience using a special audio version developed and recorded by Stephen Frost with music and background sounds carefully created to aid you in getting the best results from you time, you can find the guided self love meditation mp3 in the store where you can also select between simple music and theta wave entrained music which is great for meditation beginners and those wishing to go deeper. Both options naturally have key Solfeggio frequencies within them to greatly enhance your experience and ability to gain great results.